This just in…you can now find my notecards and postcards at Gifted Boutique & Wrappery! It is filled with unique gifts of all kinds, cards, stationery, accessories, clothes and home decor, all personally chosen by yours truly to create a unique shopping experience. 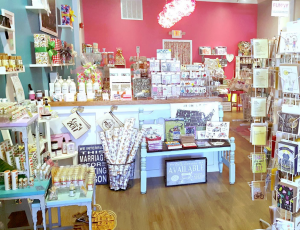 Stop in to Gifted at 1112 Kentworth Drive, Holly Springs to find the most unique gifts for that special someone – or you!